In just two months from now, an extremely rare total solar eclipse will cross the United States for the first time in a Century. On August 21st, in the middle of the day, skies will be darkened from one American coast to the other. 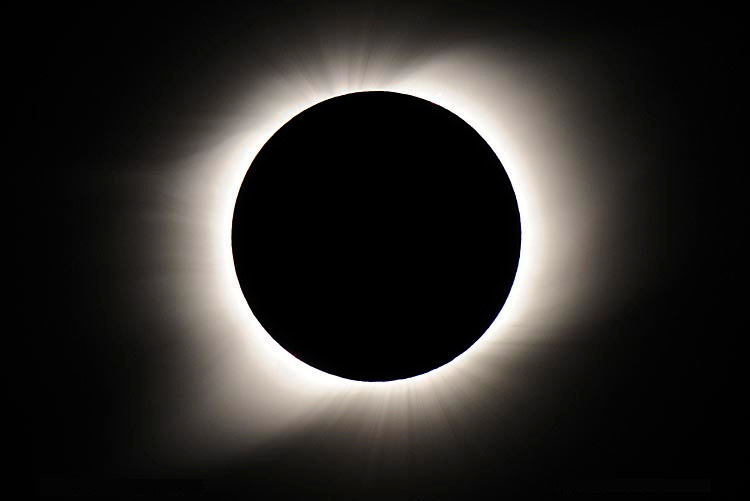 The Moon will pass between the Sun and Earth, blocking the face of the Sun, and leaving only its corona visible in the sky. It will be the first coast-to-coast total eclipse since 1918, and I believe it has a prophetical meaning. The historic event will begin just after 10:00 am PDT in Oregon, and end just before 3:00 p.m. EDT in South Carolina. Total solar eclipses, in themselves, are not that rare at all, and occur someplace on earth usually once a year. The majority of them cast their shadows over oceans or remote land. What makes this celestial event so different from the rest, is that ALL of North America will experience a partial eclipse. The difference between a full and partial eclipse is literally the difference between night and day. During a total eclipse, the temperature drops and the horizon is ringed by the colors of sunset. The sky becomes a twilight blue, and bright stars and planets become visible in the MIDDLE OF THE DAY! The temperature will drop significantly, and animals will behave strangely at the sudden appearance of darkness. 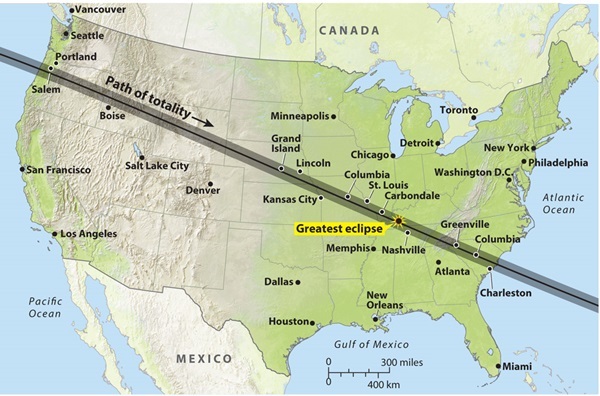 The total eclipse will move over 12+ States, and America will experience its first total eclipse of the Sun since 1979. It will be the first coast-to-coast eclipse in 99 years. Viewers in Key West, Fla., can expect to see a 71% eclipse, as can New York City. Chicago can expect to witness an 87% eclipse. The duration of the eclipse’s totality will vary from point to point, but it will be a maximum of just under 3 minutes. Western Europe, including the UK, Ireland, France, and Spain will experience a partial eclipse. 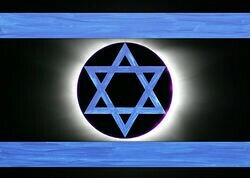 The eclipse falls at the very end of the Hebrew Calendar month of Av, and just before the start of the month of Elul, known as the month of “repentance”. More importantly, it is occurring in the Biblically significant year known as 5777. In 5777, we celebrate the “Jerusalem Jubilee”, the 50th Anniversary of Israel’s reunification of the Jewish State’s God-given Holy Capital, Jerusalem. We also witnessed the largest Supermoon of the Century at the beginning of this Hebrew Year. So in 5777, we experience BOTH the largest Supermoon AND the most visible total solar eclipse of the CENTURY. The number 777 represents our GOD and Father in Heaven (YaHWeH). You can learn why in my article 5777: Year Of The Rapture? What’s very interesting, is that it appears the path of the eclipse draws a line directly across the heartland of America. This is important because President Donald Trump is unfortunately continuing the previous administration’s quest to make a “Peace Deal” between Israel and the Palestinians. Any Deal will assuredly DIVIDE the God-given Land of Israel. 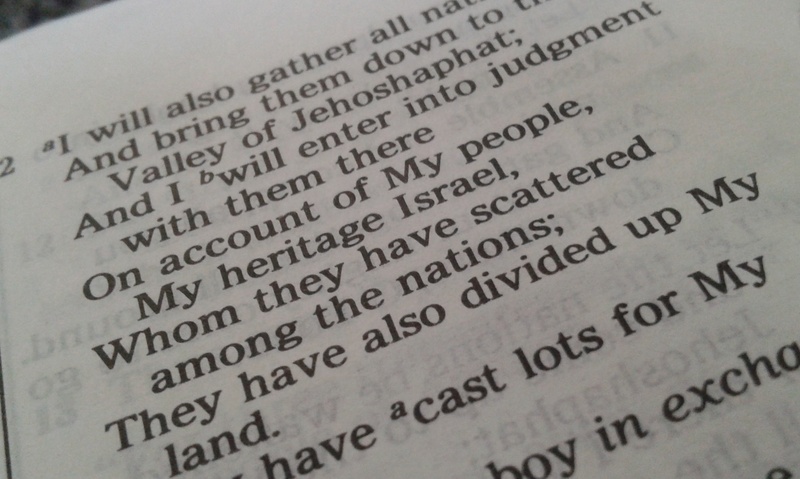 This division of the Holy Land is what the LORD prophesies will bring His Wrath upon the nations. I have warned in many articles over the past few years that, if America has a role in the division of God’s Land, GOD will divide America. As Trump continues to push hard for Israel to give up “Land-for-Peace” to Palestine, it’s no surprise that God is using the coming event in the heavens to literally draw a line right through the heart of America. Is it a Divine warning? I don’t doubt it for a second. God couldn’t be more obvious. 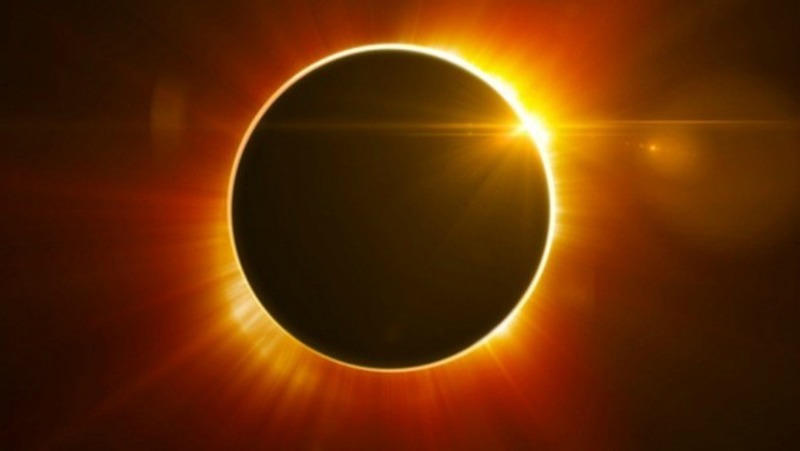 He specifically ordained this eclipse to take place in the Year bearing the number of His Name, 5777, and to occur immediately before the Biblical month of REPENTANCE. America’s leadership has a chance to get right with God, and to stop taking part in the world’s Satanic plan to take away Israel’s Promised Land. America has been given warning after warning by The LORD to REPENT and to defend Israel, NOT divide the Jewish State. Yet, the USA has not heeded the warnings, and I believe that the coming “once in a Century” eclipse is God’s FINAL WARNING. 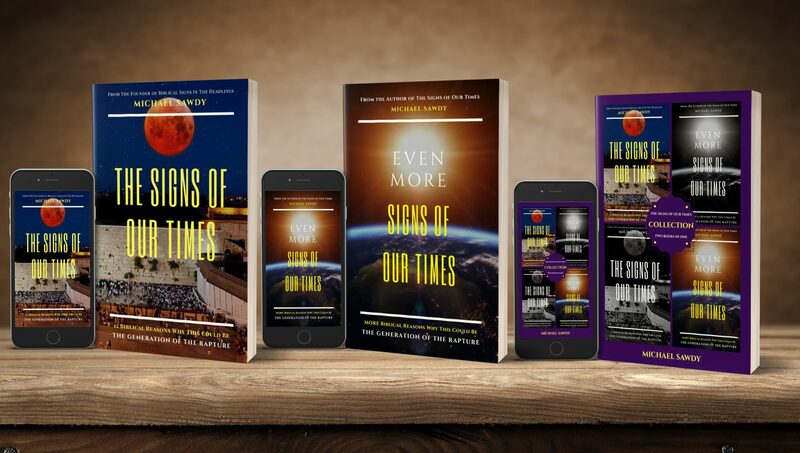 I also believe that it is no coincidence that this Divine warning comes during the year of Israel’s 50th Anniversary of reunifying their Eternal Capital, Jerusalem. God has deeded the Land to the Jews through an ETERNAL Covenant, and for an EVERLASTING Possession. Eternal and Everlasting mean “FOREVER”. So, I repeat my strong warning, which hopefully will reach the President’s ears… if America has any hand in dividing Israel’s Holy Land, then the Hand of Almighty God will DIVIDE the United States of America. Mark my words.